South-East Asia, in recent years, has emerged as the most appealing destination for Indians. This corner not only offers a slew of amazing countries but also puts lesser strain on your pockets. A journey through the countries of Thailand, Vietnam and Cambodia can be a fulfilling and happy experience. Thailand, for instance, is a country whose culture hasn’t got ravaged by modernity. The alluring bazaars, the omnipresent hospitality and that tendency to show respect to religion is still very much a part of the 21st century Thailand. Plus, Thailand offers you cities like Bangkok, Pattaya, Phuket, Chiang Mai and Krabi. Each of them has a story to tell; each story being different and almost as fascinating as the other. If Bangkok is the woman’s favorite shopping den, Pattaya is the beach bum’s getaway. At the beaches of Pattaya, you can roll over sand, go deep into the water with scuba diving or toss yourself up in the sky with parasailing. Chiang Mai brings you a bucket of history and religion while Krabi is an adventurer’s ultimate treasure. Phuket is a mix of everything and is another great place to spend a few days. How to reach Thailand: The distance between India and Thailand is a shade under 3,000 km. It takes around 3 hours 45 minutes to reach the capital Bangkok from our capital New Delhi. A Thailand package with airfare included is now easy to grab at portal sites. Once you are through Thailand, you can move on to Vietnam, another fabled land of history, culture and nature. This country which has seen the ugly years of war is now a top draw amongst the history-obsessed tourists. Attractions like Hanoi City, Halong Bay, Hoa Lu, Perfume River, Danang Beach, Mekong Delta and Dalat hill station offer a mixture of everything. 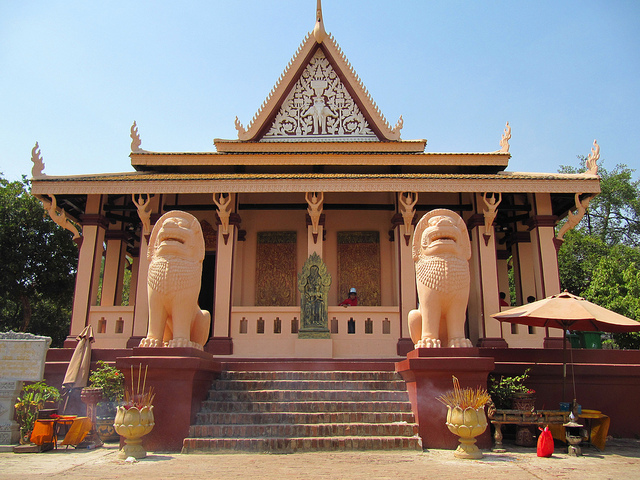 Cambodia is not far away and you can round up your trip with a brief visit to this historic country as well. Full of temples and shrines, Cambodia’s focal points of attractions include gems like Angkor Wat, Bayon, Angkor Thom, Preah Vihear Temple, Silver Pagoda and Wat Phnom. Kep National Park, Botum Sakor National Park, Independence Monument, Neak Pean and Cambodian Cultural Village and the rest make sure that there is no shortage of tourist points.